What exactly is a LOI (Letter of Intent) and MOU (Memorandum of Understanding)? Both are preliminary agreements to create a joint venture or partnership, when you need something more than a handshake. 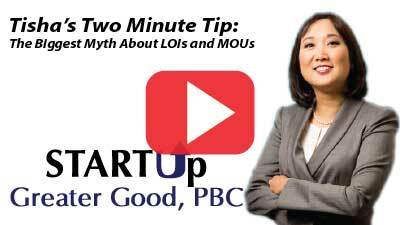 The biggest myth about LOIs and MOU can make or break your potential joint venture. Find out more in this week’s two-minute tip.